East of Eden, hands down. I love Steinbeck, and this one is the best. Oh, can't I do a top five? If I had to choose only one, it would be Shawshank Redemption. That's me in the middle. 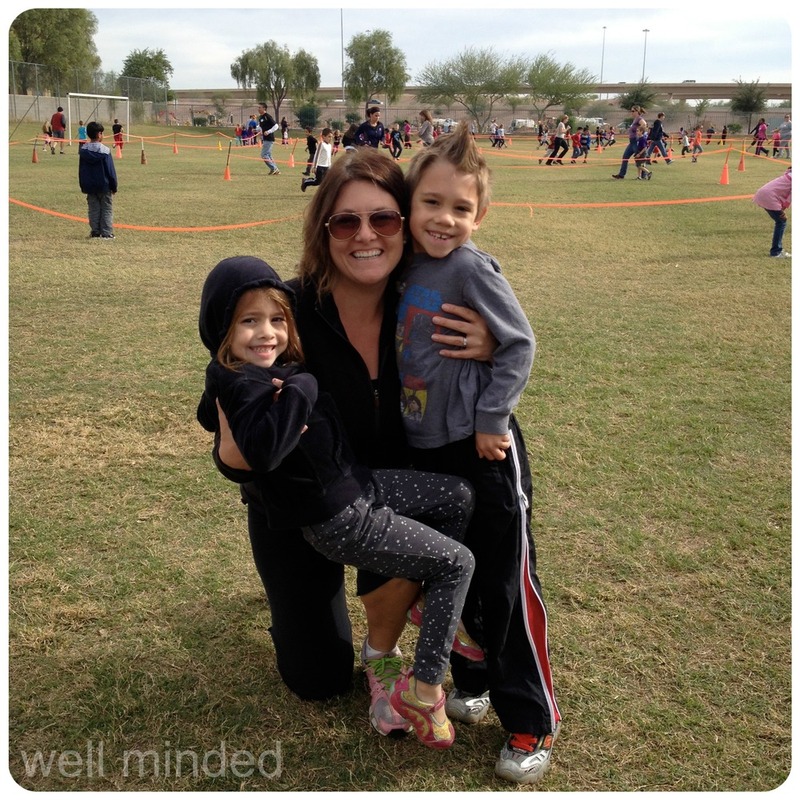 I'm with my jr. pet sitters and loves, Campbell (4) and Porter (6) at last month's school Turkey Trot. Kiss my kids. I kiss them way more than they would like. I get the eye rolls and they push me away sometimes. In the morning they tell me I have coffee breath. It does not deter me. They will be kissed. I tell them that it's a small price to pay for getting such a fab mom. I like to take Zumba and kickboxing, and I always feel great afterwards. Oh, lots of things, but if I was more gifted at time management, it might just make all the other things better. I tend to overcommit. What free time? When I make free time, I really enjoy hiking in the local mountains with my family, and I enjoy researching on ancestry.com. I also enjoy binge watching television series while folding giant laundry piles. Over the past several years, I have made my home a chemical-free environment. I feel that I've made a positive impact on the health of my family and my pets for having done so. My dog, N.A.S.H.A. is most like me because she loves to kiss the kids almost as much as I do. It's a conversation piece sometimes. I have three tattoos, one for each of my littles (those you see pictured) and one for my step-son (the teen thing) who refuses to be photographed. People ask me about the tattoos all the time, so they are nice ice breakers. • I volunteer at my kids' schools. • I let my littles sleep with me on Friday and Saturday nights, and I look forward to it. • I love a good beer and usually have one at the end of the day. I have always wanted a pig. And I would love to have chickens. I pet sit for chickens, but have never had any of my own. Thanks to everyone who participated in the hop. I love learning about you!